Startup Grind Chilliwack is Rebooted! 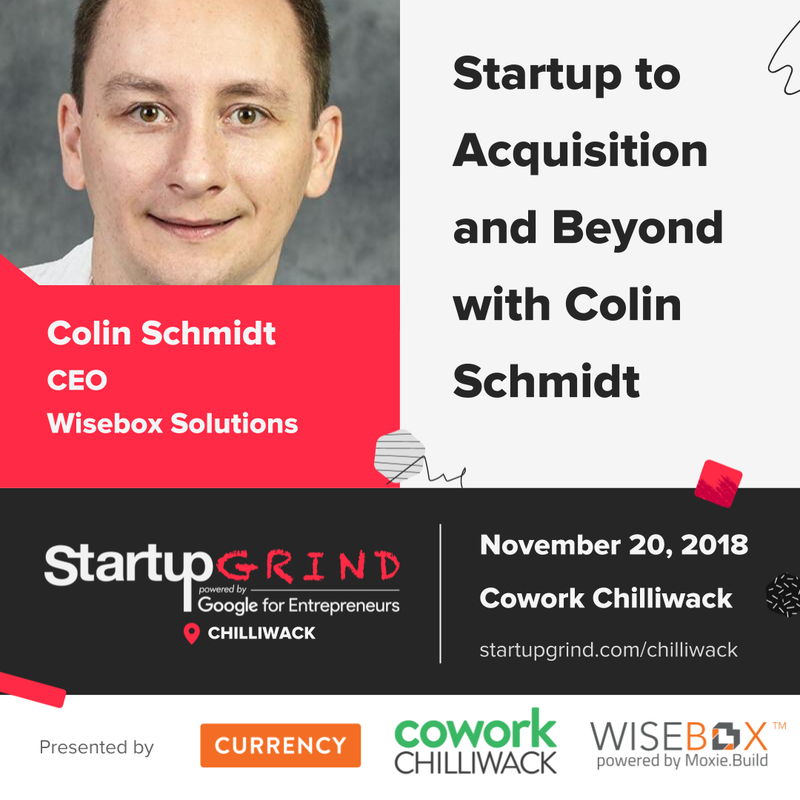 Chilliwack, BC – Currency Marketing, Cowork Chilliwack and Wisebox Solutions are rebooting Startup Grind Chilliwack! Startup Grind – powered by Google for Entrepreneurs, will be a monthly event at Cowork Chilliwack and is for founders, entrepreneurs, startups, and others working to get their business off the ground or building for the future, to connect and learn from each other about the challenges and successes in building a business. Our next Startup Grind Chilliwack event is on Tuesday November 20 at 5:30 pm. The get-together will feature a chance to mingle over some dinner and drinks where you can meet other Fraser Valley entrepreneurs, followed by a fireside chat with Colin Schmidt from Wisebox Solutions at 6:30 pm and then a chance to discuss what you’ve heard and to connect with new friends at 7:30 pm.